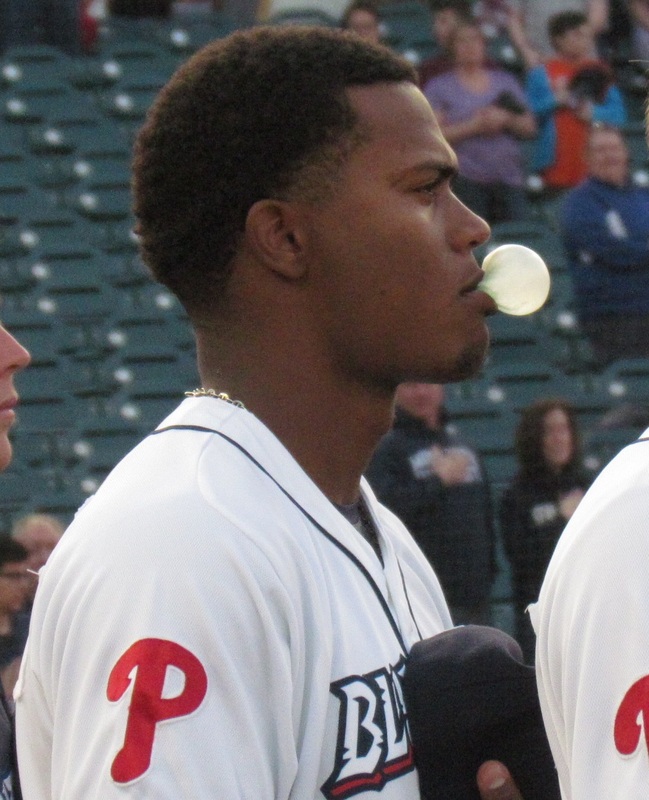 Throughout the off-season, I'll offer a roundup of how some Phillies prospects and players are performing around the world in fall/winter leagues. Here are the latest noteworthy details. 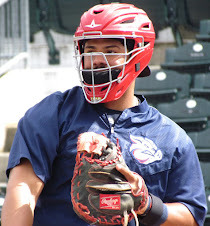 Catcher Jorge Alfaro is batting .271 with a pair of home runs in 13 games for the Toros. 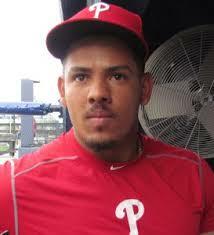 Alfaro, 25, posted a .262 average with 10 home runs and 37 RBI in 108 games with the Phillies this year. With the AFL wrapping up play last week, the following stats are final for the month-long campaign with each of the players having competed for the Scottsdale Scorpions. First baseman Darick Hall batted .238 with four homers and 12 RBI in 18 games. 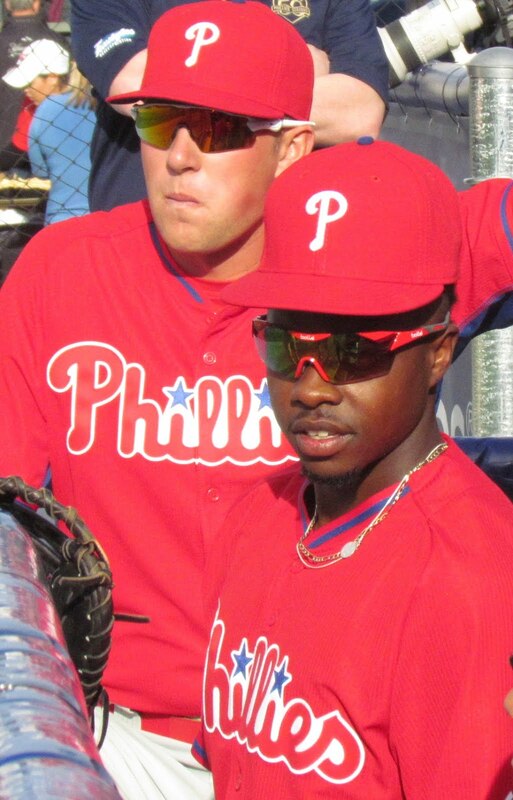 Hall, 23, was the 14th round pick of the Phillies in 2016 out of Dallas Baptist. 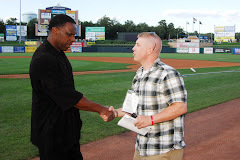 Hall blasted 26 homers and drove in 87 runs in 128 combined games with Clearwater and Reading this year. Outfielder/first baseman Austin Listi batted .250 and OPS'd .624 in 22 games. The 24-year-old was a college teammate of Hall and was drafted in the 17th round last year. 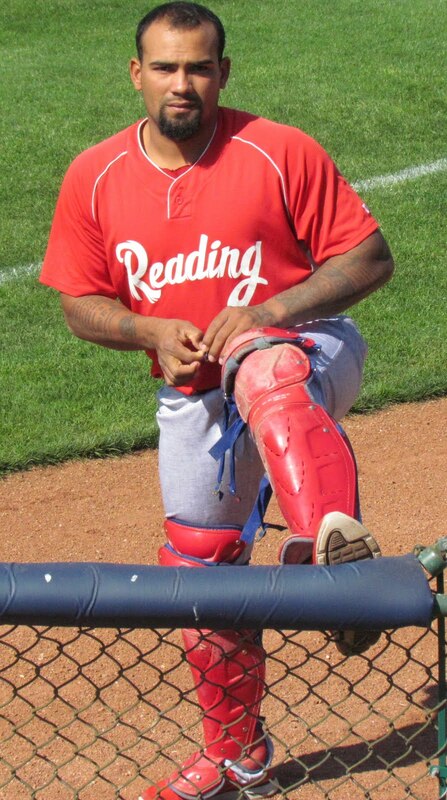 Listi won the Phillies' Paul Owens Award this year, as he posted a .312/.412/.502 slash line in 123 combined games with Clearwater and Reading. Third baseman/shortstop Arquimedes Gamboa batted .186 with two doubles, three RBI and two stolen bases in 20 games. 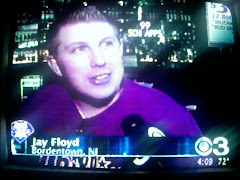 The 21-year-old sported a .214 average with two homers, 37 RBI and two steals in 114 games with Clearwater this year. The switch-hitting Gamboa is a native of Venezuela. 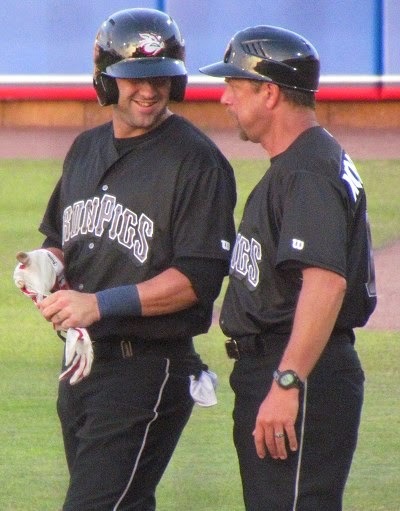 Outfielder Luke Williams was 3-for-31 (.097 avg) in nine games for the Scorpions. The 22-year-old was a 3rd round draft choice in 2015. 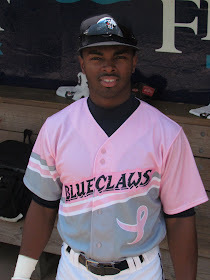 With Clearwater this year, Williams tallied a .245/.319/.353 slash line over 110 games. 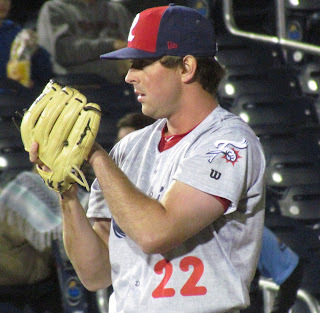 Right-handed hurler Luke Leftwich posted gleaming numbers, with eight scoreless outings. The 24-year-old struck out 12 and walked three in 10 1/3 total innings. Leftwich tallied a 3.73 ERA in 44 appearances for Double-A Reading this year. The Wofford College product was a 7th round draft choice of the Phils in 2015. 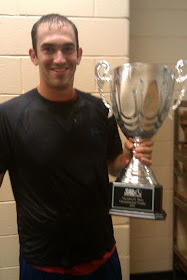 Lefty hurler Jonathan Hennigan had a 1-0 record with a save and a 1.29 ERA in eight appearances for Scottsdale. He notched a 2.39 ERA in 37 combined games for Class A Lakewood and Class A Advanced Clearwater this year. 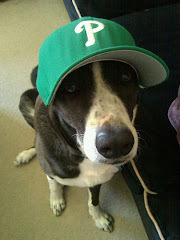 Hennigan was a 21st round draft choice by the Phillies in 2016. The Texas State product is 24 years old. Tyler Viza started six games, posting a 1-1 record, a 3.47 ERA and a .264 batting average against. Viza struck out 20 and walked seven in 23 1/3 innings. The 24-year-old right-hander was a 32nd round pick of the Phils in 2013. 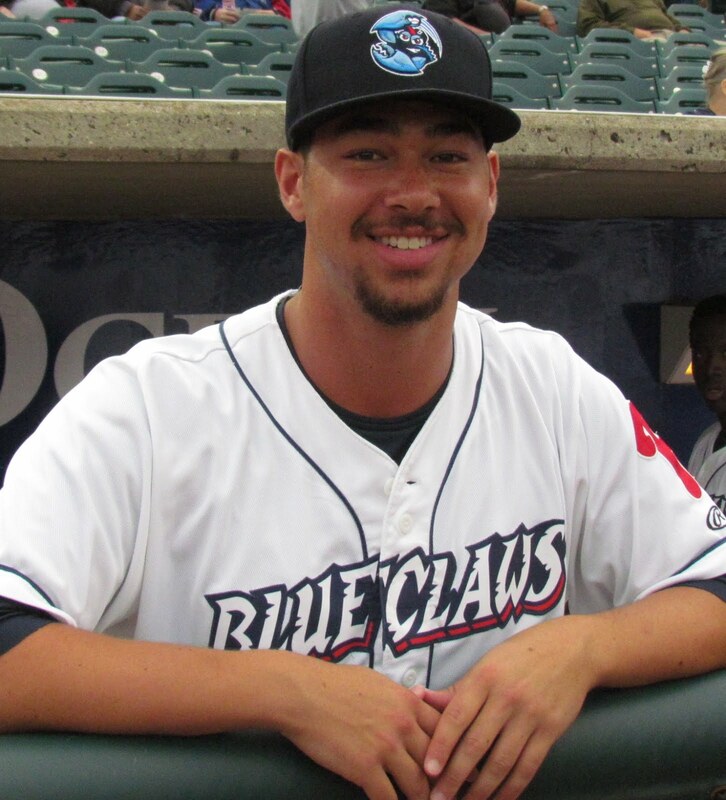 He spent time with both Double-A Reading and Triple-A Lehigh Valley in 2018. Right-handed pitcher Seth McGarry had a 1-1 record with a 2.25 ERA in seven games (one start). 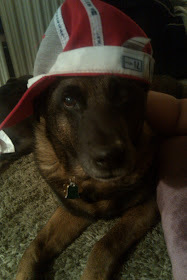 He struck out 15 and walked nine batters in 12 innings. The 24-year-old was an 8th round pick by Pittsburgh in 2015 and was traded to the Phillies last year for Joaquin Benoit. In 13 games with the Toros, shortstop Malquin Canelo sports a .229 average with a double, two RBI and four stolen bases. The 24-year-old righty hitter posted a .251/.306/.366 line at Double-A Reading this year. Through 20 games with the Leones catcher Austin Bossart is batting .135 with three doubles and two RBI. The righty batting 25-year-old was a 14th round selection in the 2015 draft. 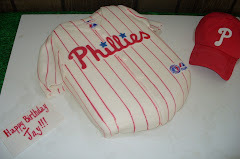 Bossart, a U Penn product, tallied a .273 average with seven home runs and 29 RBI in 54 Double-A games this year. Lefty reliever Tyler Gilbert has a 2.45 ERA and a .214 batting average against in 13 appearances for the Tigres. The 24-year-old was a 6th round pick of the Phils in 2015. Gilbert has struck out nine and walked three in 7 1/3 innings. 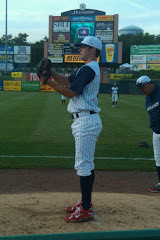 He tallied a 3.25 ERA over 48 combined appearances with Reading and Lehigh Valley this year. Jeff Singer and Deivi Grullon both spent short stints playing in the Dominican Republic this off-season, but are no longer active. Lefty Aris Abdallah pitched 1/3 inning last week for the Tigres. 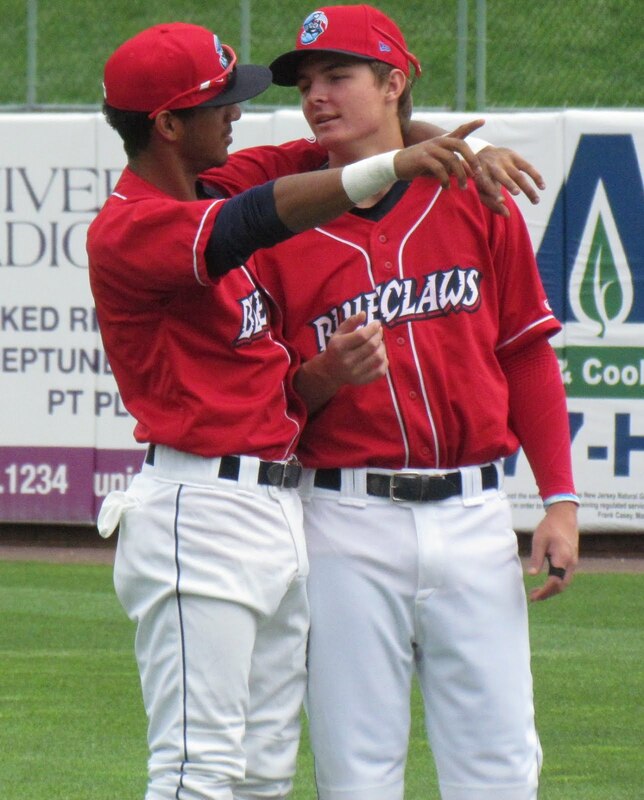 The 22-year-old posted a 2-5 record with a 4.28 ERA and a .283 batting average against for the short-season Class A Williamsport Crosscutters this year. For the Tiburones, right-hander Gustavo Armas has notched a 0-2 record with a 4.09 ERA in six outings (four starts). He has struck out 11 and walked five in 22 innings. The 22-year-old posted a 4-4 record, a 3.07 ERA and an 8.2 K/9 mark in 12 combined starts for Williamsport and Class A Lakewood this year. In four appearances for the Navegantes, right-hander Luis Carrasco sports a 1.29 ERA. 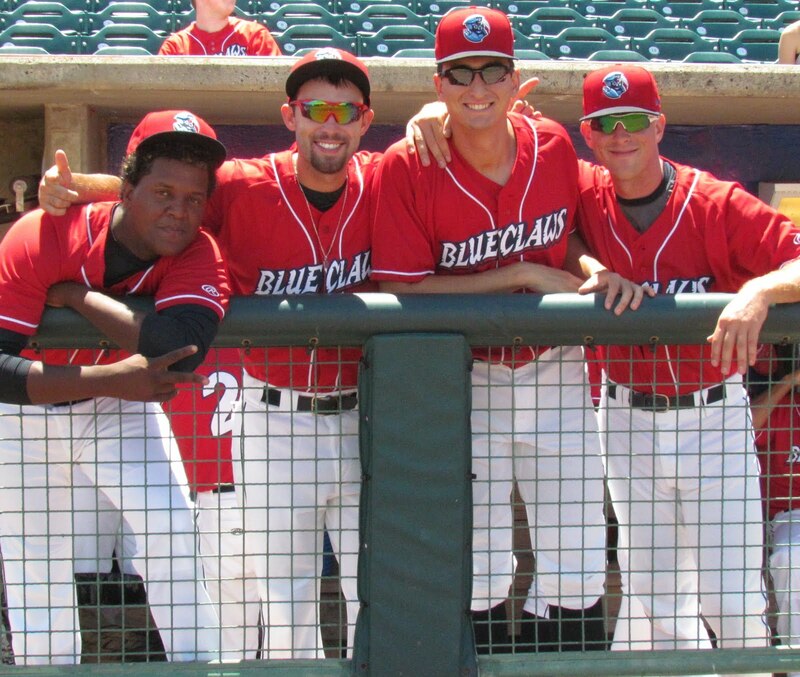 In 30 appearances for the BlueClaws this year, the 24-year-old sported a 3.11 ERA and notched four saves. Right-hander Luis Cedeno is 1-0 with a 2.08 ERA in 12 relief appearances for the Aguilas. The 24-year-old appeared in 16 games with Lakewood this year. Righty Ranfi Casimiro has a 2.57 ERA and a .154 BAA in five contests for the Aguilas. 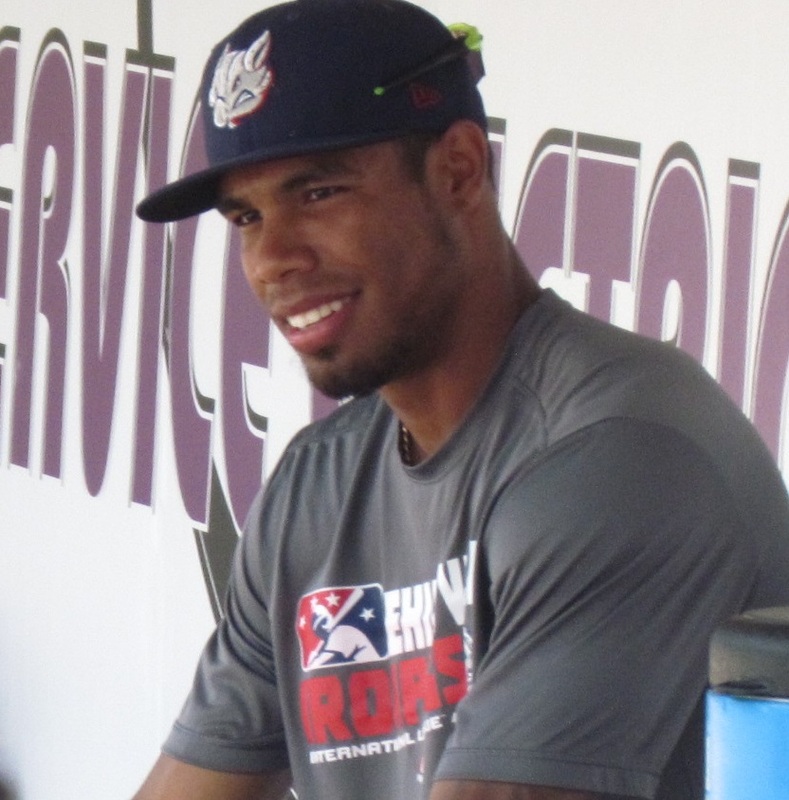 Casimiro, 26, tallied a combined 3.67 ERA and a 7.8 K/9 mark in 34 games at three levels of the Phillies' system. Righty Alejandro Requena, who turns 22 later this month, sports a 0-3 record with an 11.42 ERA in four appearances (three starts) with the Tigres. Requena went 4-4 with a 3.60 ERA in 12 starts for Class A Advanced Clearwater this year. 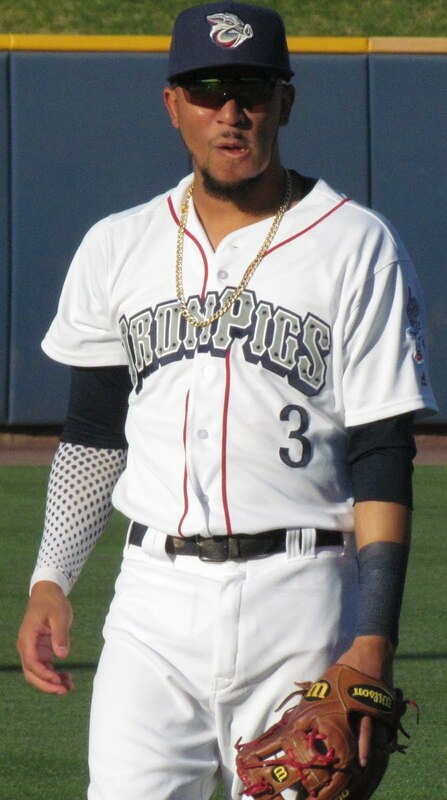 Requena was acquired from Colorado in the Pat Neshek trade in the summer of 2017. Standing out with the Tigres is reliever Josh Tols. In 14 appearances, the 29-year-old has a 1-0 record and a 1.80 ERA. 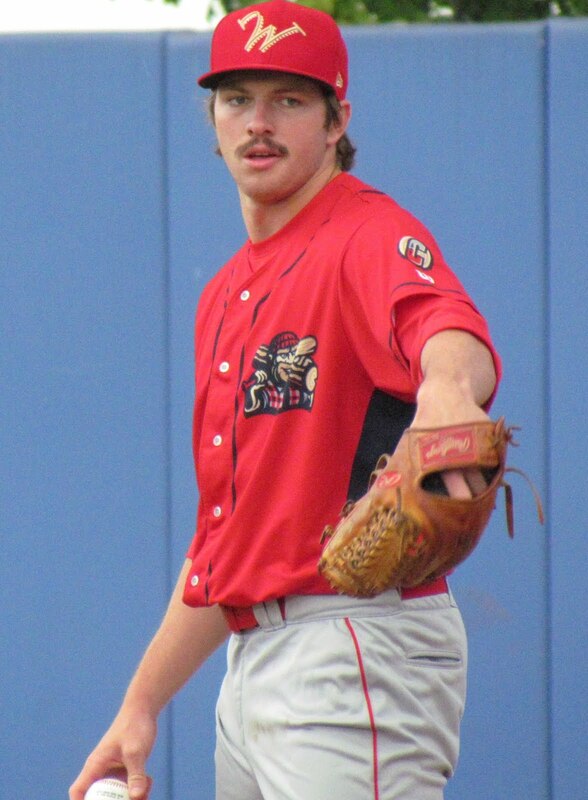 The Australian lefty notched a 2.74 ERA in 27 combined appearances with Clearwater and Reading this year. Alexis Rivero, a righty that pitched at three level of the Phils system this year, sports a 17.36 ERA in five appearances for the Cardenales. Lefty Nick Fanti made his first ABL start with the Blue Sox over the weekend, allowing an unearned run in 3 1/3 innings. The 21-year-old struck out three and walked four while giving up three hits. Fanti missed time this year with an injury. In six starts for Clearwater the Long Island native posted a 3-3 record with a 7.22 ERA. Righty reliever Tyler Fallwell has appeared in two games for the Aces. In 3 1/3 innings the 23-year-old has struck out three while surrendering no runs. Fallwell posted a 6.75 ERA in 12 regular season appearances for Lakewood this year. Kyle Glogoski, a 19-year-old New Zealand native, tossed five scoreless and hitless frames in a start for the Tuatara. 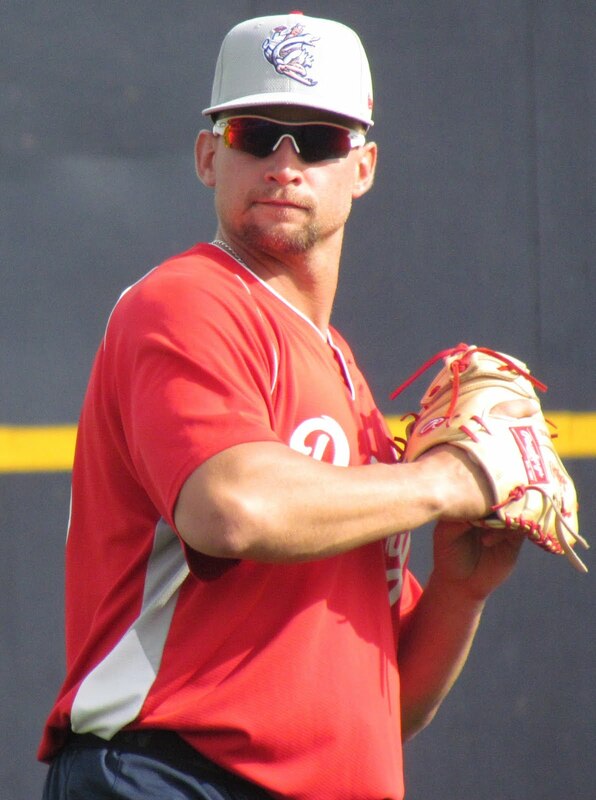 Glogoski had a great campaign this year for the Phils' Gulf Coast League West team, sporting a 4-0 record, a 2.31 ERA and a 10.8 K/9 mark in 10 games (eight starts). Rixon Taylor-Wingrove is 0-for-2 with the Blue Sox. The 18-year-old first baseman sported a .241/.310/.342 slash line in 23 games with the GCL West team this year. Catcher Mitchell Edwards is batting .250 with a double, a home run and two RBI in four games with the Bite. The 19-year-old switch hitter slashed .250/.308/.417 in 16 games with the GCL East team this year. Lefty Bailey Falter tossed two scoreless frames for the Indios over the weekend, as the season in PR just got underway last weekend. In 17 starts with Clearwater last year, the 21-year-old had an 8-4 record with a 2.69 ERA and a .247 batting average against. 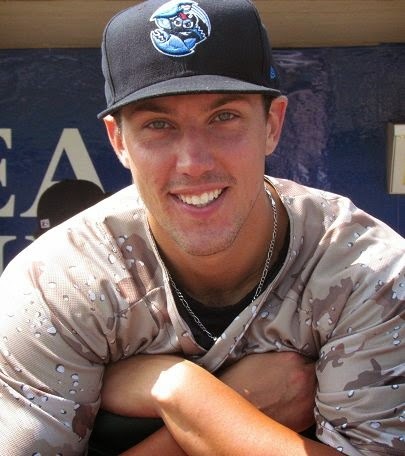 Falter was a 5th round draft pick by the Phils in 2015. Righty Trevor Bettencourt has struck out four and allowed a hit over 2 1/3 scoreless innings in two appearances for the Indios. Despite missing time with a shoulder concern this year, he posted a combined 1.85 ERA over 21 appearances for Double-A Reading and Class A Advanced Clearwater. The 24-year-old was the Phils' 25th round draft selection in 2016. Corner infielder Damek Tomscha is 3-for-10 with three walks in four games with the Cangrejeros. The 27-year-old righty hitter split his time this year with Double-A Reading and Triple-A Lehigh Valley. Jan Hernandez is 2-for-13 (.154 avg) in four games with the Cangrejeros. The 23-year-old was a Double-A All-Star this year, posting a .263 average with 14 homers and 53 RBI in 104 games with Reading.